When I’m young, my first thought of being an entrepreneur is about making lots of money, and become a boss of several shops and restaurants. However, it didn’t take me long to realize that was wrong, as I fail terribly in my first venture. Hence, I began reading up books on business and entrepreneurship written by successful business people who have built big brand names in their industries. 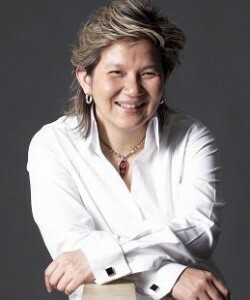 One of Singapore Most Famous Entrepreneur is 77th Street Owner, Ms Elim Chew. She is the owner of numerous fashion retail stores in Singapore, and have even branched out to other countries including India and China. Many People write to me and ask me a question “How do I become an Entrepreneur?” My answer is simple. You need Passion, Hunger, Drive or what I call PHD. Having passion is about wanting something so badly that you will do whatever it takes to attain it. It is like falling in love. You are intoxicated. You will eat, sleep and even dream about it. It is not simply doing and following the “in” thing, but it is such a love for something and you will put 101% of your heart into it. Passion causes you to be very focussed and clear about what your heart wants. And because you live and breathe it, you will be very open to learn, to gain experience or even seek out ways about how to do it. But a point to highlight, having passion does not mean you will not encounter difficulties. In fact, once you get started the first friend you will meet on the road is called “Challenges”. Challenges build our strength, resilience and they sharpen our character. We must not allow challenges to dampen our passion in our hearts. We need to build up an ability to thrive among challenges and a skill to find solutions in the midst of them. This is important as challenges often show you opportunities and they may even become opportunities themselves. They reveal gaps that you can fill. So with your passion, and your determination to weather through the storms, you will definitely see your rainbow at the end of the road. Hunger is something you need to satisfy. It is a pursuit to gain new experiences and knowledge each and every day and constantly ready to try and to take on new things. How? By learning and observing what other people do, reading books and magazines, actively listening to audio CDs and to what people share. There is an openness and willingness to learn, so that you become an expert of the trade and do well. A complementary ingredient to hunger is networking. Networking is not simply connecting with people, but building and surrounding yourself with people. We need to understand we cannot do everything on our own. We need to have a team. We can learn from people who have done it before and those with relevant experiences regarding what you intend to embark on. Get them to share, show and even teach you. After we have learnt it, help those who are like you who need help and pass it on. This entire process will take you to a new level of leadership. We must not be afraid that we will lose out when we share knowledge or experiences. Ultimately whatever we gain no one can take them away. That is the reason why I encourage every one to volunteer, to help out at non profit organization, charities, associations, etc. or even simply helping out your family business, friends or relatives that are around you. Start young and as soon as you can, so that you are always ahead of time. So be a hungry person with a vision. We need to understand that at this point passion and hunger is the fuel that powers the ship, but having a clear vision helps you to steer towards your destination. What are the traits of a driven man? When you see one person that strive vigorously and wholeheartedly with determination regarding what they want to do. You have seen a driven man or woman. At times, you may even say they behave like a bulldozer. They simply charge forward without hesitation. You see, they are highly motivated individuals or even companies. We need to grow and become the motivation of people and not simply waiting for people around us to motivate us to accomplish what we set to do. A driven person pursues his plans and goals on his own initiative without any instructions or supervision and he will search out every possible way to attain it. Some of us we are driven, but we are only driven for a short while. After some time the motivation and initiative ness fades away or gets diluted. To ensure your drive continues, we need to add on the element of discipline. Discipline is a must in our life! Many are afraid just by looking and reading the word. We need to know that discipline is a form of exercise that we need to keep reinforcing until we build up within ourselves a “system”. Thereafter, the impact of attaining discipline will be seen trickling down every aspect of your life. For example, time. We need to plan out and be responsible with our time. We need to ensure that the time spent is maximized and most productive. Once you have gone through the exercise of time management, you have already understood the importance of putting a “system” in place to help you perform consistently. Now you are able to to practice financial management, relationship management and many more. This is because you have grown to have diligence in your life. But sadly, most people fail in what they do due to the lack of discipline. Simply because there is no one driving them but we need to learn to push ourselves to have consistency and continuous commitment to deliver what is necessary, to achieve our goals and accomplish our vision. This is discipline. In conclusion, we know that challenges will come along the way, but our Passion, Hunger and Drive will cause us to rise above our situations. What I achieve is after 22 years of pursuit as well as sacrifices made. It is not an overnight success. Therefore one of my mottos is, “Love what you do and it’s never work anymore.” After 22 years into my business, I have encountered setbacks and challenges, but I am still as passionate, hungry and driven. So instead of sitting on your problems or challenges, go get your PHD today! From : Straits Times SME Spotlight. This entry was posted in Ding Neng on June 27, 2010 by dn. Good luck on your blog, and feel free to comment and subscribe to my blog as well when you get a chance: Earn Extra Cash Online with Dino Vedo. Also my blog is open to any guest posting and I would love if you would review some of my products I have and we could easily make each other some extra cash! Hey Dino, Thanks for dropping by my blog:) Sure, I will visit your facebook fan page and learn more from you! See yea!